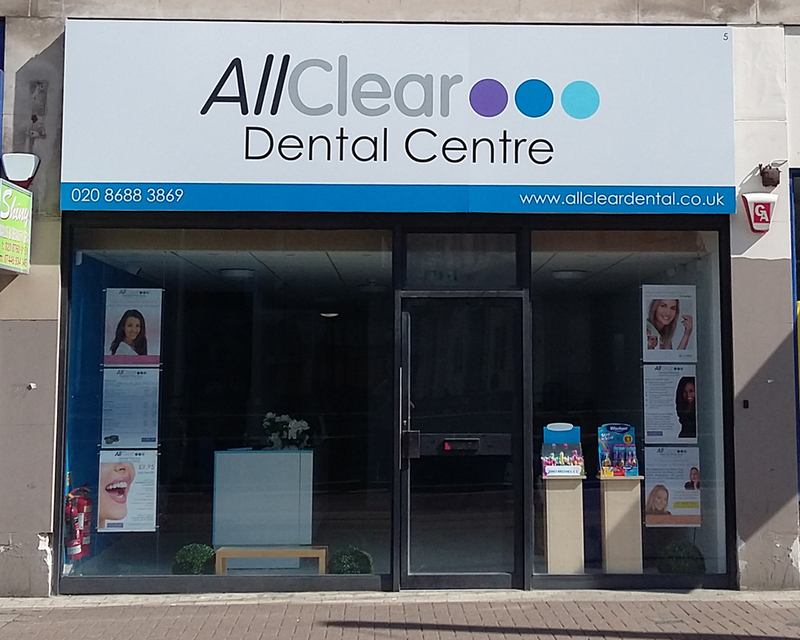 AllClear is a private practice and this means that we are unable to provide free NHS dental care for children. However, we have developed an affordable treatment range for children aged 15 and under which will give you the peace of mind that your chidlren's dental care is being properly managed and help them on their way to adulthood with healthy teeth, gums and mouth. Although already affordable, adult members of our family plan will receive two free checkups per year and members' discounts on all treatment for up to three children aged 15 & under. Click here for further details. When examining or treating children aged 15 & under, we request that they are accompanied by a family member able to give consent on their behalf. This usually means a parent or legal guardian; if neither is available, then another familiar adult is acceptable providing that they are able to contact the child's parents if necessary. We will not normally examine or treat unaccompanied minors except in emergencies. We do this for the protection of the child and also to ensure that the child can be appropriately and properly comforted in the event that they become distressed during treatment. Brushing - make sure your child brushes their teeth twice a day for at least two minutes each time. Make the session fun and buy an inexpensive brushing timer so that they can see their progress and make sure that they brush evenly across all teeth. Rinsing - if your child has had sweet food, sugary or fizzy drinks (including fruit juice) then give them a glass of water to rinse their mouth. Wait at least 30 minutes before they brush their teeth as the sugars will soften the enamel of the teeth which can then be eroded by brushing. Watch their diet - Fizzy and sugary drinks and sweets are particularly bad for teeth so be careful to ensure that your child only has them in moderation. Under no circumstances should you give a young child juice in a bottle or beaker as a pacifier and even milk contains sugar so, if they have it as a bedtime drink, clean their teeth afterwards. Visit the dentist regularly - it is never too early to visit the dentist as this helps the child get used to the surroundings and avoid fears in later life. However, by the time they have their full set of infant teeth (at around 2.5 years old) they should be visiting regularly and, if you have any concerns about your child's teeth, see a dentist straight away as, the earlier problems are spotted, the easier they are to fix. Click on one of the buttons on the left for further advice about looking after your children's teeth. Alternatively, call in or phone AllClear to make an appointment.